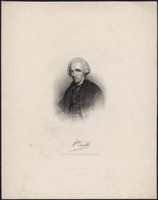 DUNN, THOMAS, businessman, seigneur, office holder, politician, judge, and colonial administrator; b. 1729 in Durham, England; m. 27 Nov. 1783 Henriette Guichaud, widow of Pierre Fargues, at Quebec, and they had three children; d. there 15 April 1818. Unfortunately nothing is known about Thomas Dunn’s life before he arrived in Canada. His purpose in coming to set up in the town of Quebec soon after the general capitulation in September 1760 was undoubtedly to take advantage of the various possibilities for economic development afforded by this huge, newly conquered territory. His earliest ventures were those of an enterprising man whose objectives were already firmly fixed. In his early thirties, he gives the impression of being a true member of the rising bourgeoisie, in full possession of the means to achieve his ends. Having in hand some of the assets essential for carving out a place at the top in this future British colony, he would turn them to account on every level – political, judicial, legislative, economic, family, even military – and would have an exemplary career within the framework of an imperial system controlled directly by the mercantilist policy of the metropolitan authorities. Perhaps to a greater degree than in any of his contemporaries, in him personal interests, family interests, and the interests of the state would be joined together in a productive and mutually supportive union. Dunn’s success was even more remarkable because he acted skilfully, prudently, and circumspectly in the management both of his own business and of public affairs. He never let himself be drawn into intrigues and factions, unlike many of his British compatriots, and he always stayed out of party quarrels and rivalries. Reflective and level-headed by disposition, he was too far-sighted to let himself be manœuvred and too discerning not to exploit fully any situation potentially advantageous to him. In this way, throughout half a century of political life he succeeded in retaining his influence with the colonial authority and in profiting fully from the patronage system. He did it with such consummate art that historian Donald Grant Creighton* thought him merely “an undistinguished octogenarian resident of the colony”; unlike so many other more “distinguished” members of the bourgeoisie, however, Dunn left a sizeable fortune at his death. Following Creighton’s example, historian Fernand Ouellet mentions Thomas Dunn only once, in his capacity as administrator of Lower Canada. 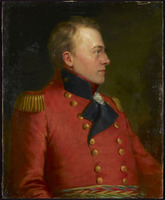 In fact, like so many entrepreneurs under the French régime and the new one, Dunn personified the colonist who took advantage of the imperial system – patronage, networks of friendship and information, lucrative posts, and political power – to attain not only wealth but also the highest office to which a resident of Lower Canada could aspire, that of administrator of the colony. Before Canada had been handed over definitively to Great Britain by the Treaty of Paris in February 1763, Dunn had already thought of creating a small commercial empire for himself by obtaining the trading lease to the king’s posts with his partner John Gray, also of Quebec; William Grant (1744–1805) soon became a co-lessee. This acquisition would guarantee a monopoly of the fur trade and the fisheries throughout the crown’s domain, an immense area stretching from the eastern limits of the seigneury of La Malbaie to Sept-Îles and including the kingdom of the Saguenay with the posts of Tadoussac and Chicoutimi. James Murray* himself, as “governor of Quebec and its dependencies,” authorized this leasing in the king’s name. The agreement, signed on 20 Sept. 1762, provided for renewal of the lease for a 14-year period from 1 Oct. 1763 at an annual rent of £400, a relatively trivial sum for a net return estimated at more than five times that figure – £2,500. Once this first step had been taken, Dunn sought to consolidate his monopolistic control with the purchase of the seigneury of Mille-Vaches, an enclave of 12 square leagues inside the crown’s domain below Tadoussac. Originally granted to Robert Giffard* de Moncel, this seigneury had passed into the hands of François Aubert* de La Chesnaye, and Dunn purchased it from his son, Ignace-François, on 23 Feb. 1764. With a foothold of this sort Dunn, as an ambitious bourgeois, was in a good position to extend his commercial empire to the entire lower north shore of the St Lawrence. That same year he paid £2,550 to buy a property with a stone house on Rue Saint-Louis at Quebec for his permanent residence, and in 1769 he acquired an adjacent piece of land. He obtained from the government the grant of a lot in Lower Town on which to build a wharf for commercial purposes. From 1767 to 1783 he also rented the seigneury of Saint-Étienne with some associates. An opportunity to broaden his already wide field of activity came when on 11 Sept. 1770 his friend and partner William Grant married in a public ceremony Marie-Anne-Catherine Fleury Deschambault, the dowager baroness of Longueuil and great-granddaughter of Louis Jolliet*. By this matrimonial alliance, Grant entered the great family of the descendants and heirs of the renowned explorer; the first seigneur of the Île d’Anticosti, who had engaged in the exploitation of the fisheries around the islands of Mingan, to which he had received a grant. Such matrimonial ties facilitated a link with the descendants and heirs of François Byssot* de la Rivière, who had received the initial grant of the mainland property of Mingan and whose children had been associated with the Jolliets in developing the north shore fisheries. As an astute businessman, Dunn lost no time in using Grant’s advantageous marriage to extend his monopoly. Thus, on 18 Oct. 1771 some ten representatives and agents of the great family to which Grant’s wife belonged met in the presence of notaries Pierre Panet and Jean-Antoine Saillant*; they gave Dunn and Grant, his partner, a trading lease to the Mingan and Anticosti posts for a 15-year period from 1 Aug. 1772. A trading lease provides a useful basis for estimating the profitability of an operation, which in this case derived its income principally from cod, salmon, porpoise oil, and the hides of seals. The trade seemed sufficiently lucrative for a third partner, Peter Stuart, to be taken in. Before the trading lease expired the trio of Dunn, Grant, and Stuart succeeded in buying almost all of the seigneuries of Mingan (the mainland and the islands) and Île d’Anticosti, as the “agreement and covenant” signed on 12 Dec. 1789 before notaries Pierre-Louis Deschenaux and Charles Stewart recognized. This document describes the complex series of transactions that each of them had engaged in, separately or jointly, to purchase the heirs’ property rights. It shows that, through his connections by marriage, William Grant had been able to acquire “the fair and true half” of everything that had been bought by the three partners, for the sum of £2,241. This stranglehold on the posts along the lower north shore of the St Lawrence made up for the loss of the monopoly on the crown’s domain, which Dunn and his partners had suffered early in the autumn of 1786. In 1785 they had been able to get their trading lease on the king’s posts renewed for only one year, and this new agreement had been approved in the nick of time by Lieutenant Governor Henry Hamilton* when the authorities in London were on the verge of favouring François Baby and the Davison brothers, Alexander and George*. Dunn could take this blow without too much complaint, because from the outset of his career in the province of Quebec he had always enjoyed the régime’s patronage. When civil government was instituted in August 1764 he obtained a commission as justice of the peace for the districts of Quebec and Montreal; he retained this office until 1815, and eventually saw his mandate extended to all the districts of Lower Canada, including Gaspé. He had become a member of the Quebec Council which had been created by Murray in 1764, and also a master in the Court of Chancery. 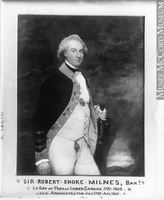 His connections with Thomas Mills*, the first receiver general for the colony, and Hector Theophilus Cramahé*, the civil secretary, fostered a sort of triumvirate, which Murray’s successor, Guy Carleton, turned into a committee of the Council to examine public accounts (honoraria, expenditures, and claims) from the beginning of the British régime. 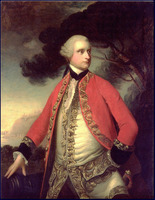 In 1763 and 1769 Dunn acted as king’s attorney in succession matters. Mills’s departure in August 1767 strengthened Dunn’s position through the process by which responsibilities were devolved upon those benefiting from patronage. Thus when the duties of receiver general were handed down to Cramahé, Dunn became next in line. 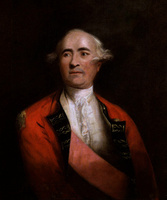 He acceded to the acting receiver generalship on 31 July 1770, the day Cramahé was called on to be administrator of the province in Carleton’s absence. The redistribution of offices on the eve of Carleton’s departure indeed proved doubly profitable for Dunn. 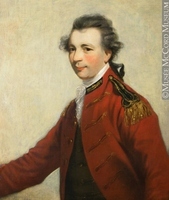 Not only did he inherit the acting receiver generalship, which he retained until the spring of 1777 when his partner Grant in turn inherited it; he also became judge of the Court of Common Pleas for the districts of Quebec and Three Rivers, a post he held until the judicial system was reorganized in 1794. In addition he sat on the Circuit Court in 1771 and 1772, the Prerogative Court in 1779, and the Court of Appeal in 1788. The Thomas Dunn who was paymaster for the navy on the Great Lakes during the American invasion was apparently a namesake. Eager to take advantage of the various fruits of the conquest, Dunn had of course taken an interest in the Saint-Maurice ironworks, which were initially taken over by the military authorities and then leased out after civil government was established. In June 1767 Carleton granted the first contract, for a 16-year period, to eight partners – one of them being Dunn – who had joined forces around a dynamic citizen of Trois-Rivières, Christophe Pélissier*. Of the eight, Alexandre Dumas and Jean Dumas* Saint-Martin were of French descent and had recently immigrated to the province. Of the six English-speaking partners, who were all merchants, Benjamin Price* and Dunn were members of the Council; three others, George Allsopp, Colin Drummond, and James Johnston*, resided at Quebec, while Brook Watson lived in London. Each partner’s share had been set at one-ninth of the costs of running the ironworks. Restarting operations at the works, which had been abandoned for two years, required sums so far beyond the expectations of the interested parties that the anticipated returns failed to materialize. The entire group of English-speaking merchants from Quebec liquidated their shares within a few years. Johnston was the first to take this step, and in April 1771 Dunn, Drummond, and Allsopp, who was acting for himself and for Watson, followed his example. Their agreement of sale, signed before notaries Jean-Antoine Saillant and Simon Sanguinet*, showed capital outlays totalling £615 apiece. In exchange for their shares in the ironworks Pélissier promised to deliver to the four shareholders 90 tons of pig-iron each, within a period of a year and a half. The deal proved profitable; the promise was kept, and the transaction was completed in 1772. Finding themselves with 360 tons of pig-iron on their hands when they were connected to the world of maritime trade presented no difficulties. After all, the business class to which Dunn belonged possessed the irreplaceable asset of being able to trade in all kinds of merchandise. In the era of sailing ships, when ballast was in great demand, the weight of the pig-iron met the needs of shipowners and shippers; moreover, the simple presence of a Brook Watson in this deal sufficed to guarantee disposal of the product. Far from losing his investment in the Saint-Maurice ironworks, Dunn recovered it at the point when he was extending his commercial grip on the lower north shore. The Quebec Act consolidated Dunn’s well-established position within the administration of the colony. His name headed the list of members of the new Legislative Council, and he was called to serve on the privy council instituted by Carleton. 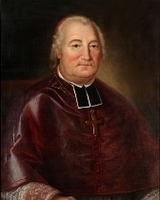 The creation of such a body favoured concentration of the legislative, executive, and judicial powers in the hands of a group of privileged councillors, which included only one Catholic French-Canadian, François Baby. 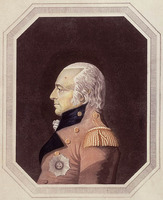 Although the home authorities severely disapproved of it, this system of government was maintained by Carleton’s successor, General Haldimand, until the end of the War of American Independence. Dunn adapted to the system as well as he did to the change of generals at the head of the province. 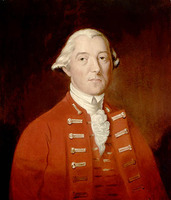 Exemplary in his attendance both at the privy council meetings in the Château Saint-Louis and at the Legislative Council sessions in the bishop’s palace, Dunn acquired a reputation as a moderate by avoiding involvement in partisan fights, unlike his impetuous compatriots George Allsopp and William Grant. Although he made common cause with his colleagues in the English party to obtain certain rights held dear by every good British subject – particularly with respect to personal liberty and security in accordance with the common law – he attached himself to the French party to uphold the system of government instituted under the Quebec Act. Dunn remained aloof from the battle for constitutional reform that broke out after Governor Haldimand’s departure. He had too much business sense to let himself be caught in the interplay of party divisions and fights and thus risk compromising his privileged situation as a member of the anglophone bourgeoisie who was also in the colonial government. Dunn did not go alone; he sailed “with his family.” His wife, Henriette Guichaud, was the daughter of the late Jacques Guichaud and widow of Pierre Fargues, both of whom had been merchants at Quebec. The marriage had occurred at least two years earlier, since the contract was signed on 27 Nov. 1783 before notaries Pierre-Louis Panet and Pierre-Louis Deschenaux. In a departure from the Coutume de Paris the couple reserved “the freedom to make their wills as they please, as is permitted them by the [Quebec] Act.” Although Dunn agreed to community of property and recognized his spouse’s right to “a fair half of all his property” in the event of his death, he provided that in the reverse case neither “the children of the first marriage . . . with the Sieur Fargues, nor those who may be born [of their marriage] or other collateral heirs could lay claim to any part of the said joint estate.” As for the “goods and chattels pertaining to the joint property régime with [the late] Pierre Fargues,” the contract stipulated that Henriette Guichaud had the “right to half of the said goods, and in respect of her under-age children to the other half.” Finally, Dunn bestowed a fixed jointure of £400 upon his future wife. This marriage agreement plainly bore the stamp of the bourgeois individualism that characterized Dunn. Evidently he was no more interested in linking himself with a family clan than he was in integrating himself into the French Canadian milieu. In 1801, however, the couple agreed to help the children of the first marriage get established by granting £3,000 to Henriette Fargues and £2,000 to each of the sons, Thomas* and Jean Fargues, to be taken out of the joint estate after the deaths of husband and wife. They were to have three sons of their own, Thomas and William, who would both pursue military careers, and Robert. 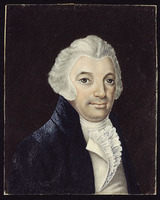 From the 1790s Dunn’s career was directed primarily towards the judicial, administrative, and political spheres. He remained none the less active in business, particularly until 1807 or 1808. As in the past he continued to speculate in landed property. In the period from 1764 till his death he bought at least ten lots, four houses, and several farms; he sold about the same number of lots, seven houses, a shed, and half of the shares in a schooner; in addition he rented out various pieces of land and exchanged building sites. He also concluded several land deals as assignee, executor, attorney, and commissioner in various capacities. An inventory of the notarized deeds reveals that on nearly 50 occasions Dunn lent sums of cash or goods varying in value on average from £500 to £ 1,000 and up to £3,000, at a regular rate of 6 per cent and on one occasion 10 per cent. Only once did he borrow. 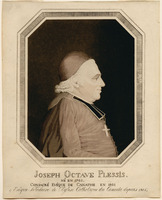 By an irony of fate, Bishop Plessis*, who denounced lending at interest, borrowed £600 from Dunn in 1807 and £400 in 1818, both times at 6 per cent interest. In addition to the important transactions already mentioned, Dunn bought the seigneury of Saint-Armand, on the shores of Lake Champlain, in December 1788. By 1792 he requested a grant of land to round out his seigneury, which had been truncated when the border between Lower Canada and the United States had been laid out. In 1802 he demanded, but to no avail, that the British authorities intervene to obtain compensation from the American government. On the other hand his membership on the Executive Council of Lower Canada had certainly not been unconnected with his receiving Dunham Township, together with 34 other associates, in 1796. This was the first time that an entire township was the object of an official grant in Lower Canada. In addition to reserves, the township comprised 40,895 acres and was divided into 200 lots; it soon became Dunn’s sole property. Later he obtained 58 lots in Stukely Township through Lieutenant Governor Robert Shore Milnes*’s recommendation to the home authorities; they decided that as well as being entitled to request lands in the regular manner Dunn could ask for them as a member of the Executive Council. In a notarized deed of 1803 Dunn is mentioned as a co-seigneur of the seigneury of Champlain, together with John Craigie and Joseph Frobisher. Two years later, as co-owner of the Batiscan Iron Work Company along with Craigie, Joseph Frobisher, Benjamin Joseph Frobisher*, and Thomas Coffin*, he bought a series of building sites in the Batiscan region. But by 1808 he had withdrawn from this company, in which he seems to have lost a substantial sum. At a sheriff’s sale that year he bought the Cape Diamond Brewery of Quebec, with the adjoining wharfs and sheds. Unable to resell this property at a profit, he struck a bargain with John Racy for its use. In 1811 the agreement became a simple lease to Racy for £1,200 a year. The brewery and warehouses burned in 1815. In 1825, seven years after Dunn’s death, a partial inventory of the joint estate revealed a residual amount of £15,758 still owing to him, a capital sum of unknown size invested in England, on which two of his sons had already received the interest, and numerous properties: seven building sites, four houses, a third of the seigneury of Mille-Vaches, a third of the seigneury of Mingan, a quarter of the seigneury of Île-d’Anticosti, all of the seigneury of Saint-Armand, Dunham Township (minus the government and clergy reserves), a quarter of Stukely Township, and various other unidentified lots. Unlike Grant, who had died burdened with debts despite his reputation as a great entrepreneur, Dunn had left a large estate and its assets were still flourishing seven years after his death. At the time the constitution of 1791 went into effect, Dunn had been a member of the Legislative and the Executive councils of Lower Canada. As the senior member of the executive he took part in crucial sessions on land distribution, the audit of public accounts, and affairs of state. In 1794, at the time the judicial system was being reorganized, he became a judge of the Quebec Court of King’s Bench. In 1801, shortly before he left for London, where he spent a year, he was appointed presiding judge of the Court of Appeal. 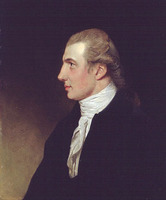 In 1803 he sided with the majority of the British judges in upholding the application of English civil law in matters of succession and jointure for lands held in free and common socage. He took part in the revising of municipal police regulations for Quebec in 1805, and then for Quebec, Montreal, and Trois-Rivières in 1809. 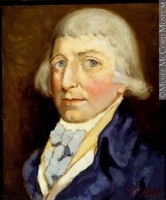 During the period of disturbances in 1794 he was president of the Quebec branch of an association founded to support British rule in Lower Canada. 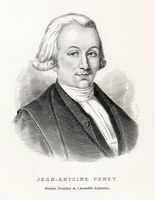 He was frequently a member of commissions with various tasks: construction of churches at Trois-Rivières and Quebec in the period 1791–1805, building of a court-house at Quebec between 1799 and 1801, administration of the Jesuit estates from 1801, and application of the 1801 law concerning the collection of lods et ventes on crown lands held in simple roture. The flourishing state of Dunn’s fortune, which can be attributed to his business dealings, did not keep him from taking full advantage of his public offices. In addition to having obtained immense stretches of land, around 1802 he received emoluments amounting to £850 sterling from the various offices he held, and £2,350 in the years 1805–7 as administrator of Lower Canada. 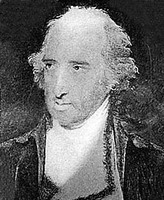 In the latter capacity he took advantage of the situation to appoint his stepson, Thomas Fargues, storekeeper general of the Indian Department, despite Sir John Johnson*’s attempts to get the post for his son. In 1802 Dunn, citing his long and undeniable services, laid claim to a respectable pension, similar to the one that Chief Justice William Osgoode* had received. 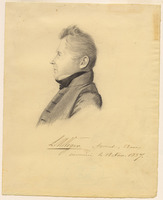 Lieutenant Governor Milnes supported his request, and London agreed in principle to a pension of £500 sterling annually, drawn on the revenues of Lower Canada. Dunn postponed his retirement for a few years, however, because of the substantial emoluments provided by his office as administrator of Lower Canada, and also because of the financial losses he had incurred in the exploitation of the Batiscan ironworks. He did not draw his pension until 1809, after he had resigned from his judgeship. As president of the Executive Council Dunn was civil administrator of Lower Canada from the departure of Lieutenant Governor Milnes in August 1805 until the arrival of Governor Craig in October 1807. Once more he managed to stay above the fray at a time of fierce conflict between the Canadian and British parties in the House of Assembly. The furious outbursts of the Quebec Mercury against the Canadians provoked several confrontations in the 1806 session: warrants for arrest and summonses were issued by the assembly against the editors of the Montreal Gazette and the Quebec Mercury; some Canadians drew up a memorial supporting the Gaols Act of 1805 which Dunn agreed to send to London, but not without stressing the irregularity of the procedures of the house; a quarrel erupted between the two parties over the translation of John Hatsell’s work Precedents of proceedings in the House of Commons . . . London, 1781). 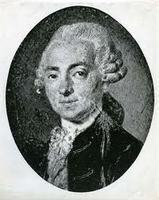 Facing a divided assembly, Jean-Antoine Panet as speaker decided in favour of the translation but Dunn prudently deferred the decision until an officially appointed governor arrived. The year ended with the founding of the newspaper Le Canadien to defend the Canadians’ interests and give expression to their loyalty. Each side showered insults and innuendoes on the other; the Quebec Mercury in particular urged that after more than 40 years of British rule the Canadians should be assimilated, and Le Canadien accused a small clique of privileged people of wanting to “anglify” the Canadians and hand them over to the Americans. During 1806 also, the crown missed a unique opportunity to bring the Catholic Church under royal jurisdiction, a step advocated in the period from 1793 to 1805 by Anglican bishop Jacob Mountain*, Lieutenant Governor Milnes, Attorney General Jonathan Sewell*, and Provincial Secretary Herman Witsius Ryland*. 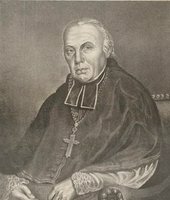 On 18 Jan. 1806 Bishop Denaut died. 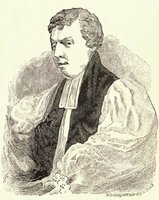 To Ryland’s fury, and in the absence of Milnes, Mountain, and Sewell, who were all in England, Dunn rendered an immense service to the church when he swore in Plessis as bishop of Quebec on 25 January, and Bernard-Claude Panet* as coadjutor a few days later, without referring the matter to the British government. He claimed to have based his actions on precedent in this matter. The good relations existing between Dunn and Plessis may have played an important role. Or again, perhaps there was weight to Ryland’s caustic query: what man of 77 could pass up the opportunity of making a bishop? Plessis and Panet would live to see the crown give up any serious design to bring the Catholic Church under its authority by taking advantage of a vacancy in the episcopate. During the 1807 session fierce debates again brought the Canadian and British parties into conflict, particularly over the issue of payment of assemblymen who represented ridings distant from Quebec, over petitions from the Eastern Townships requesting that roads be built and various improvements be carried out, and over a bill for recovering small debts. Even with all this disagreement 16 bills received royal assent, and Dunn was able to avoid the drastic measures resorted to by his successor Craig, in spite of newspaper quarrels and Le Canadien’s long dissertations on ministerial responsibility. Dunn even took advantage of the threat of war occasioned by the bloody skirmish between the British vessel Leopard and the American ship Chesapeake off the New England coast in June 1807 [see Sir George Cranfield Berkeley] to carry out successfully the first general call-up of the militia since the conquest. In the colony as a whole, the population behaved with zeal and loyalty. Large numbers of volunteers came forward. Dunn was so astonished, and perhaps so relieved, that he wrote an order of the day to congratulate the militiamen and praise them warmly. This attitude of the good paterfamilias seems to have been the image of him retained in the public mind. 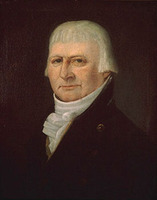 Dunn had been less successful in his attempt on behalf of the government to settle the question of the lease on the Saint-Maurice ironworks in 1806. It had been awarded at auction to the former lessee, the firm of Monro and Bell, for £60 annually, which was £790 less per year than the sum agreed to in the preceding lease. Despite the suspicions of Chief Justice Henry Allcock and Colonial Secretary Lord Castlereagh, there does not seem to have been any bribery involved in the deal, although the Executive Council had neglected to take certain elementary precautions, such as setting a minimum price. Dunn defended himself, maintaining that the only other offer came from a company of Canadians without much money. After his arrival Craig cancelled the lease and exonerated Dunn, explaining that at the age of 77 Dunn was not at his best for presenting a situation in its true colours. 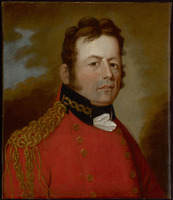 The confidence and universal esteem that Dunn enjoyed, and his status as senior member of the Executive Council, explain why he again presided over the destiny of Lower Canada from June to September 1811, between Craig’s departure and the arrival of his successor, Sir George Prevost. This time circumstances spared him unpleasant surprises. Despite his various occupations, Dunn had served as treasurer of the relief committee for poor Protestants in 1768 and of the committee to help the poor of Quebec in 1769; he also subscribed to the relief fund for the poor in 1784 and 1818. He was a member of the Agriculture Society in the District of Quebec from 1789 to 1793, and of the Quebec Fire Society from 1790 to 1815; as well, he was one of the charter members of the fund to support the war that Great Britain was waging against France from 1797 to 1801. He contributed to the Waterloo Fund in 1815 and to the building of a road linking the Plains of Abraham with Cap-Rouge in 1817. 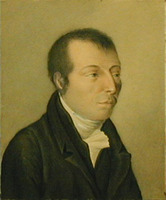 Thomas Dunn passed away at Quebec on 15 April 1818. During his lengthy career he had stood out in nearly all areas of life in the colony, from business to the judiciary and affairs of state. His family life had apparently been happy and filled with satisfaction. ANQ-Q, CN1-26, 17 juill. 1798, 28 juill. 1801, 16 janv. 1802, 15 juin 1803; CN1-83, 2 oct. 1783; 13 juin 1785; 30 mai, 13 déc. 1788; 27 mars, 24 août, 12, 22 déc. 1789; 21, 22 juin, 27 août, 11 sept. 1790; 12 oct. 1792; CN1-92, 13 août 1801; CN1-205, 10 avril, 26 juin 1775; 18 juill. 1776; 23 juill., 23 oct. 1777; 11 avril, 23 mai, 6 oct. 1778; 19, 21 oct. 1780; 15 oct. 1781; 27 nov. 1783; CN1-230, 16 févr., 5 juill., 11 août 1796; 3 mars 1798; 1er avril 1801; 17 août 1809; 9 mars, 12 août 1811; 24 avril 1815; 16 mars, 4, 6 avril, 31 mai, 5 nov., 18 déc. 1816; 26 févr. 1817; 27 mai 1822; 9 sept. 1825; CN1-248, 9 août 1764; 2, 27 août 1769; 7 mai 1770; 4 avril 1771; 13 oct. 1772; 27 avril 1773; 4 oct. 1775; CN1-262, 11 oct. 1797; 31 déc. 1798; 28 nov. 1799, 17 janv. 1800; 23 oct. 1804; 18 janv., 28 mars, 5 sept. 1805; 15 sept., 3 nov. 1807; 2 avril 1818. ASQ, C 36: 73, 96, 102, 104, 106; Polygraphie, IX: 63; XIX: 49; XXV: 34, 40. PAC, MG 11, [CO 42] Q, 13: 211–13; 24–1: 67, 69, 335, 338–52; 26–2: 394–405, 409, 466; 87–1: 176; 90: 265–66; 92: 13, 161; 93: 137–71; 97-A: 40–41, 139; 100: 298–304; 101–1: 73; 101–2: 425; 102: 256; 104: 7–38, 66–72; 106–2: 327–29; 109: 24–43; 112: 255; MG 23, GIII, 3; MG 24, B10; RG 1, E1, 7: 198, 212; RG 1, L3L: 143, 186, 788–862, 1362, 1580, 2162, 4365–66, 4574–87, 35572–97, 39169–81; RG 7, G1, 2:174–75; 3: 48–49, 167, 250; RG 8, I (C ser. ), 722A: 38, 79, 82, 87, 92; 772A: 82; 1908: 41; RG 68, General index, 1651–1841: ff.222–23, 229, 259, 266, 272, 275–77, 322–45, 521, 531–38, 543–46, 569, 625, 628, 650, 653. Bas-Canada, chambre d’Assemblée, Journaux, 1793–1818. Doc. relatifs à l’hist. constitutionnelle, 1759–1791 (Shortt et Doughty; 1921), 1: 252; 2: 579, 647. Le Canadien, 17, 24, 31 janv., 28 févr., 21, 28 mars 1807. Le Courier de Quebec, 28 févr. 1807. Montreal Gazette, 1805–11. Quebec Gazette, 24 Nov. 1768; 26 Jan. 1769; 25 March 1784; 23, 30 June 1785; 12 Oct. 1786; 24 May 1787; 4 Aug. 1788; 23 April 1789; 28 Jan., 25 March, 8 July 1790; 5 May 1791; 11 April 1793; 3, 10 July 1794; 4 June 1795; 29 June, 1 Aug. 1797; 2 July 1799; 15 Jan., 26 Feb. 1801; 27 June 1805; 14 July 1808; 22 June 1809; 20 June 1811; 7 Feb., 19 Oct., 9 Nov. 1815; 13 March 1817; 12 March, 16 April 1818. Quebec Mercury, January–March 1807. F.-J. Audet, “Les législateurs du Bas-Canada.” Hare et Wallot, Les imprimés dans le Bas-Canada, 315–27. P.-G. Roy, Inv. concessions. Christie, Hist. of L.C., 1: 127, 200–1, 233–34, 255, 257, 260; 6: 25–27, 84–86. Creighton, Commercial empire of St. Lawrence, 161. Ouellet, Bas-Canada, 122. Paquet et Wallot, Patronage et pouvoir dans le Bas-Canada, 43n. Wallot, Un Québec qui bougeait, 63–74, 186–87. Pierre Tousignant and Jean-Pierre Wallot, “DUNN, THOMAS,” in Dictionary of Canadian Biography, vol. 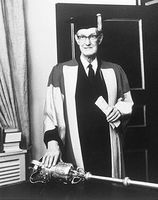 5, University of Toronto/Université Laval, 2003–, accessed April 24, 2019, http://www.biographi.ca/en/bio/dunn_thomas_5E.html.